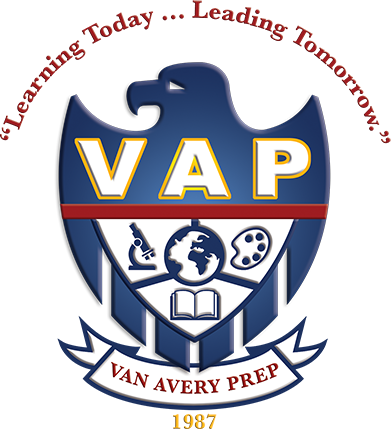 Kindergarten Hours: 8:45 a.m. – 3:00 p.m.
Van Avery Prep kindergarten opens the doors to learning by offering a structured program in which students feel safe, secure, and valued. We ignite their curiosity for learning and give them opportunities to excel both academically and socially. With a full day program students have time to learn, play and grow. Students in kindergarten take part in Language Arts, Writing, Mathematics, Science and Social Science on a daily basis. Additional classes in Character Education, Music, Art Appreciation, Physical Education, Spanish and Garden Science are also enjoyed on a weekly basis. Students perform in a Holiday Show and Spring Play every year. Three to four off campus field trips enrich their overall kindergarten experience as well. A staff of six teachers collaborates on the Kindergarten Team and is there to support your student’s learning experience on our campus.